Handy multiple use tool for water changes and for removing dirt from the aquarium gravel. Specially designed for small aquariums up to 30 liters. 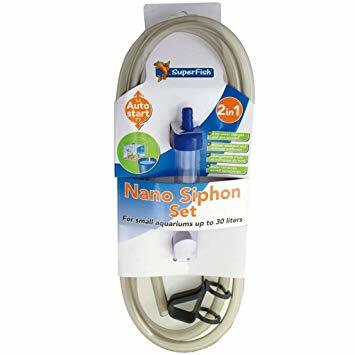 As regular cleaning and water changes are essential for a healthy aquarium, the nano siphon is an essential tool for every fish keeper and aquascaper. Suitable for small aquariums up to 30 litres. Flexible hose and hose clip.